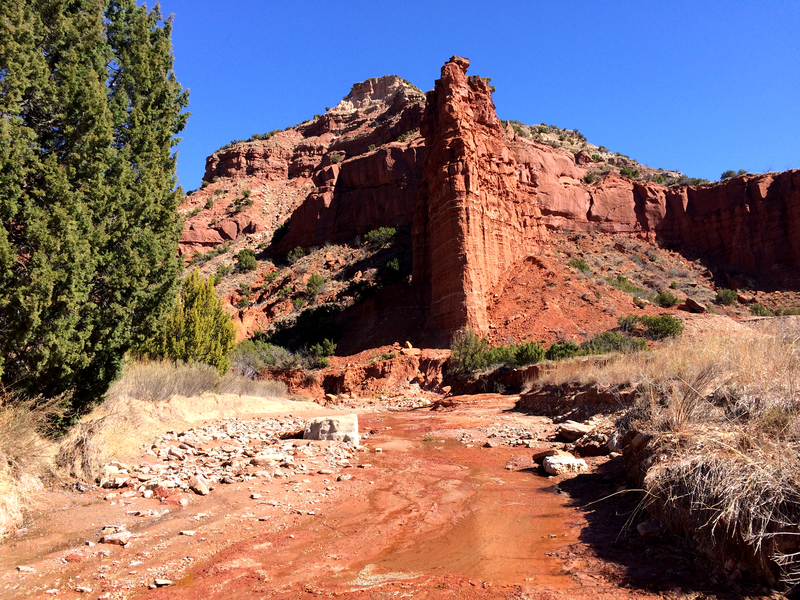 Yesterday, was a fantastic day for Sharla and I to hike at Caprock Canyons State Park in Texas. We hiked the Upper Canyon Trail. A constant breeze was present with the temperature being in the mid-80s in the canyon. 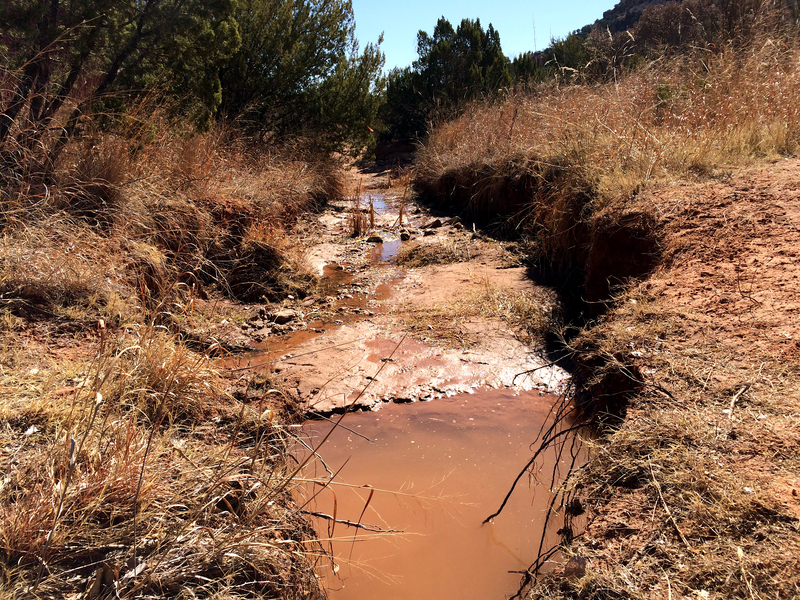 Creeks were running with water with two crows cawing and soaring over the ridgeline. The trail had been recently improved with grading since we hiked it a few months ago. Only two markers are still in place at the moment indicating where you are at on the trail. At least the signage at the South Prong Campground has been replaced, however, the bench at the campground entrance has yet to be replaced. One small section of the trail was completely under water and we found a side passage to go around it. 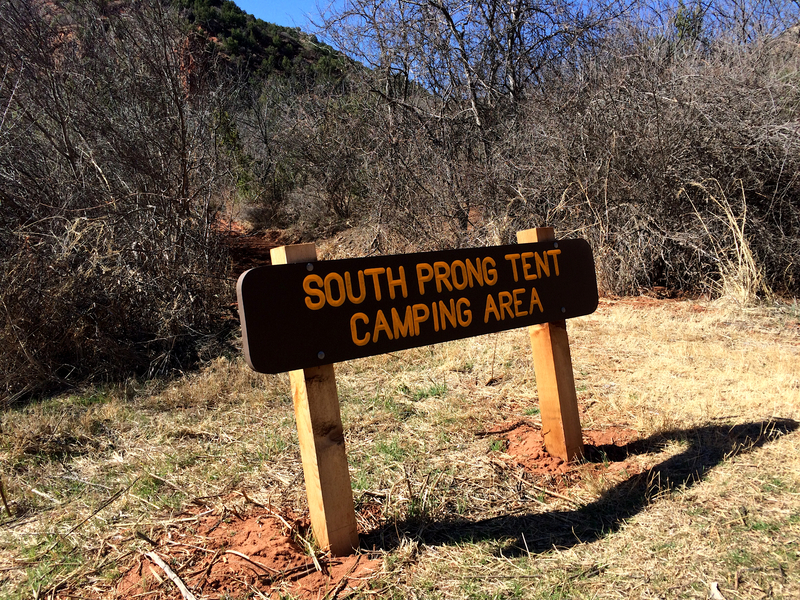 South Prong Tent Campground new sign. Section of the flooded trail. Dogs took to the trail with their owners. 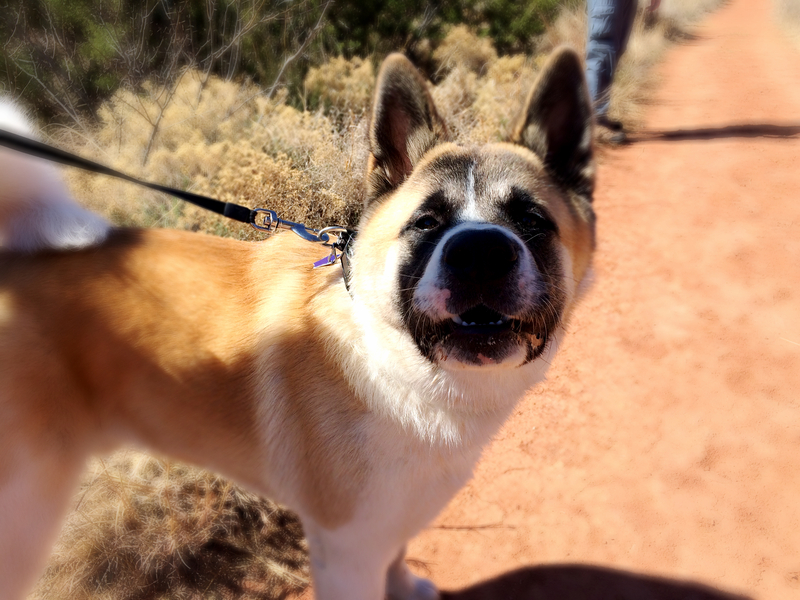 The most beautiful babe we saw was an Akita named Sampson, who had just turned six months old. Horses had been on this hiking only trail. At the top of the trail we encountered rock defacing. 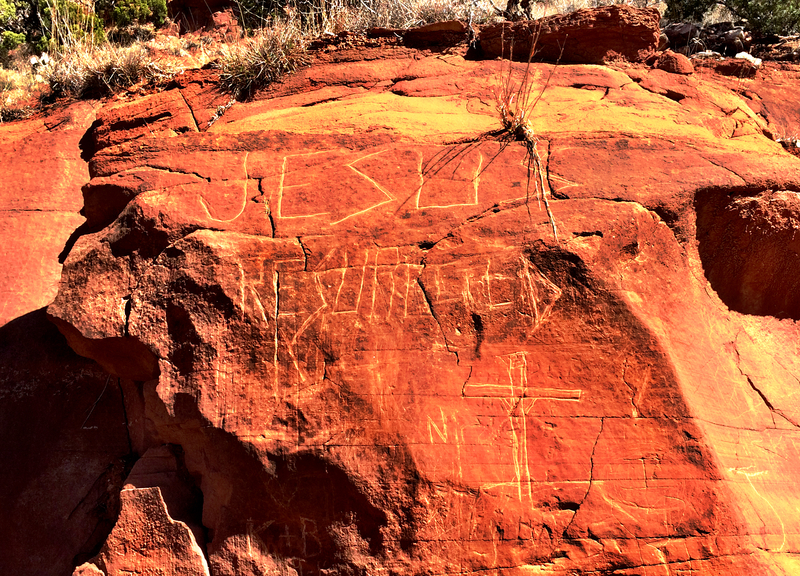 Stupid people need to stop defacing nature’s beauty with their damn graffiti because it does not belong in our public parks. During our snack and water break we were serenaded by Sandhill Cranes flying overhead and the running water in the creek. 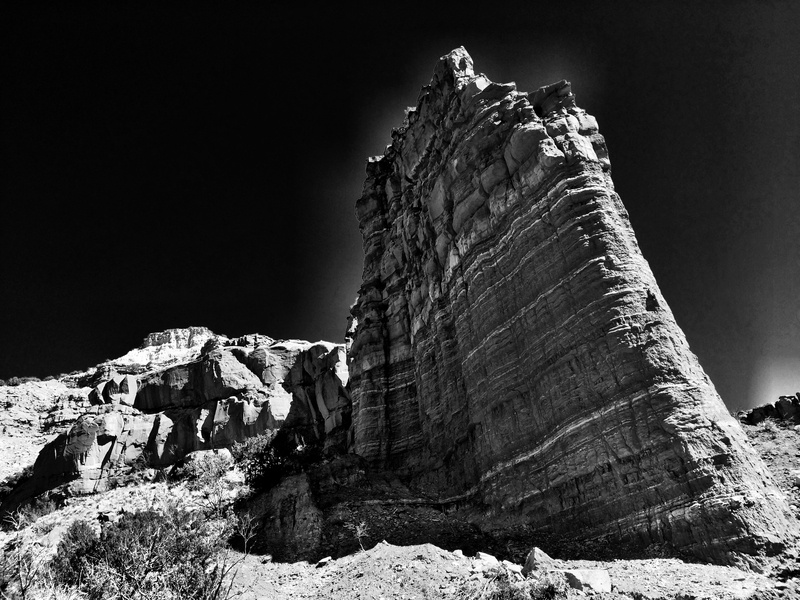 Overall, the Upper Canyon Trail or South Prong Trail is an easy hike of about four miles round-trip. The only steep section comes toward the end leading up to the ridge to hike towards Fern Cave. The trail crosses creek beds and offers ample shade along the way.